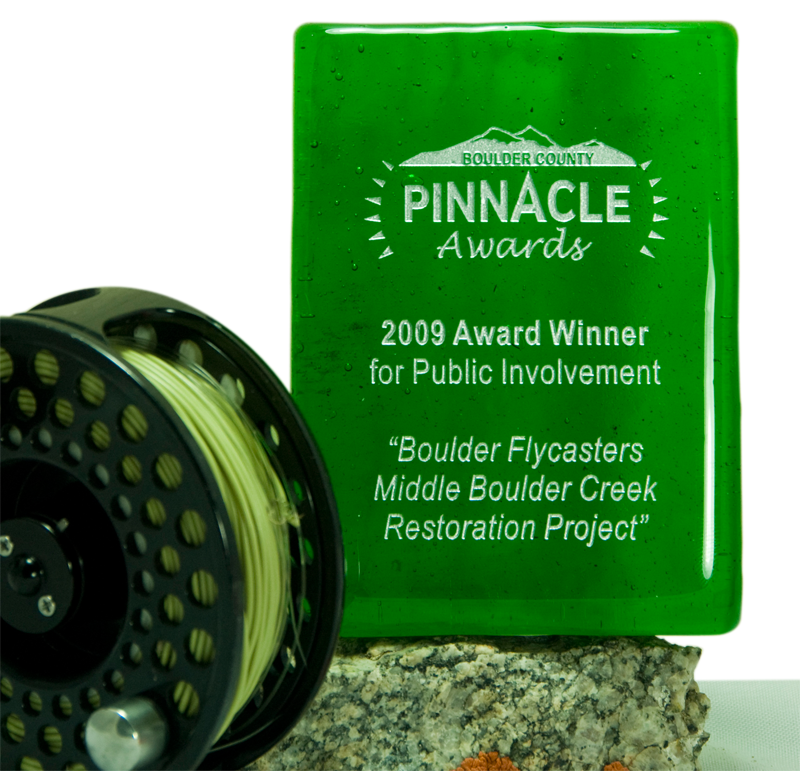 In April of 2010 Boulder Fly Casters received the Trout Unlimited Exemplary Project Award for the work on Rogers Park on Middle Boulder Creek. 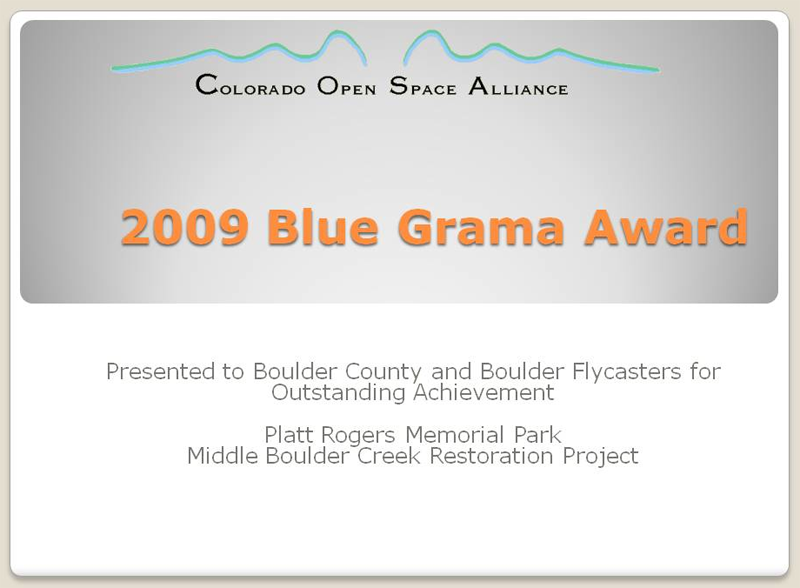 In 2009, Boulder Flycasters received the Blue Gramma Award from the Colorado Open Space Alliance. The Colorado Open Space Alliance is a statewide organization of publicly funded local and regional open space programs, working cooperatively to share information, create public awareness and foster partnerships needed to protect and preserve the special places of Colorado. 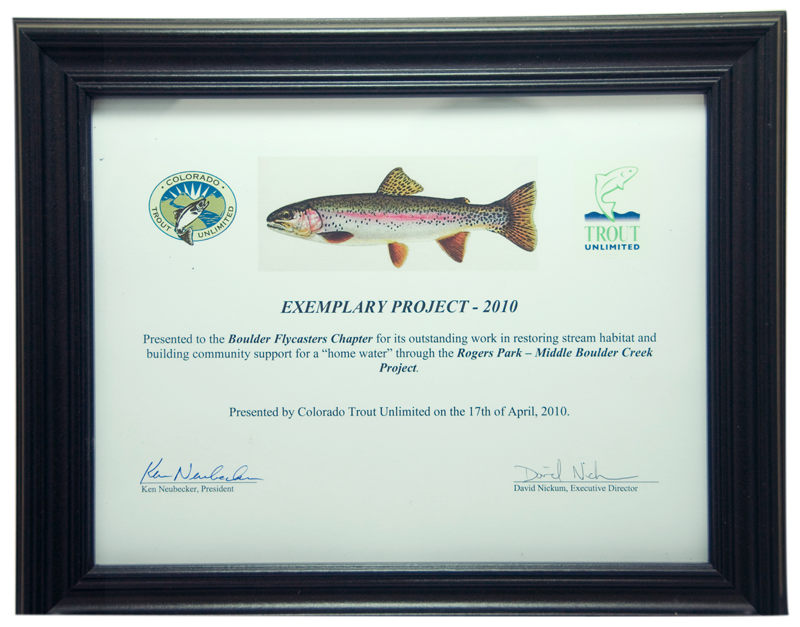 Each spring during Volunteer Week, Boulder County honors individuals or groups with its Land Conservation Awards for outstanding contributions made to the conservation, preservation and protection of land-based environmental resources. Nominations are accepted until the end of January each year. 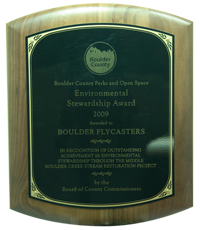 In 2009, Boulder Flycasters received the Environmental Stewardship Award for its work on the Rogers Park Project. The annual award is given in recognition of individuals or organizations that have made a significant impact on the conservation, preservation and/or protection of Boulder County’s land-based environmental resources through on-the-ground actions or program management. These activities may include the preservation or restoration of wildlife or natural ecosystems, or open space and conservation education. 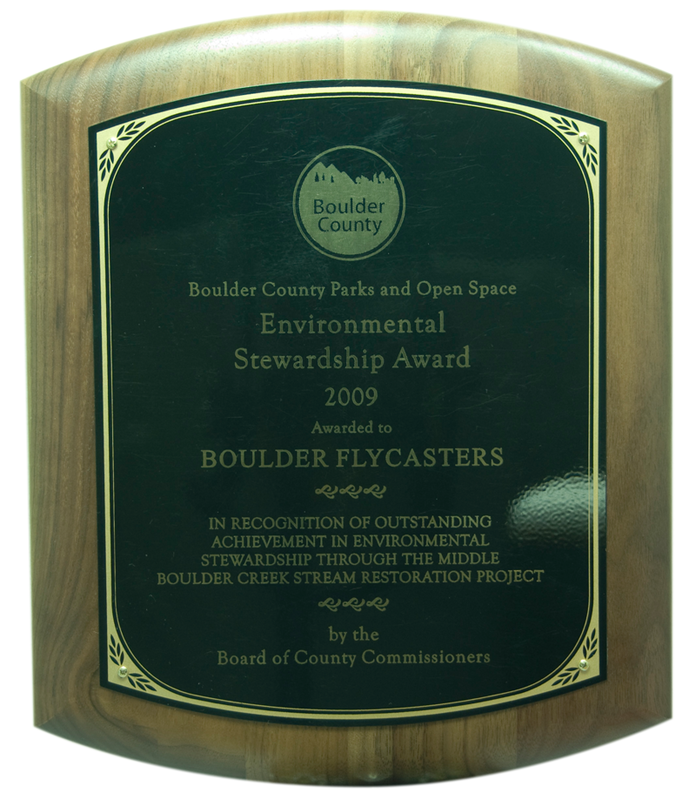 Boulder Flycasters was nominated for the Award by a member of the County Open Space staff and the awards ceremony was held on April 21st at the Parks and Open Space Building west of Longmont. 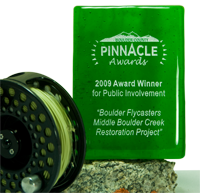 The Boulder County Pinnacle Award was bestowed by the County Commissioners to Boulder Flycasters in the spring of 2009 for our Rogers Park Project. 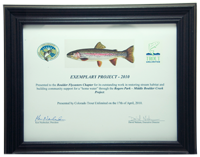 The Award acknowledged BFC cooperation with the County, community volunteers and other agencies to complete the project.